If you have any questions regarding Criminal Defense, please contact us for a FREE CRIMINAL FATAL OFFENSES CONSULTATION. Murder is an unlawful act that involves the killing of one individual by another. While the exact definition of the crime varies depending on jurisdiction, the consequences of a murder conviction are severe. In many jurisdictions, the crime of murder is divided into various gradations of severity, e.g., murder in the first degree, based on intent. Malice is a required element of murder. Manslaughter is a lesser variety of killing committed in the absence of malice, brought about by reasonable provocation, or diminished capacity. Involuntary manslaughter, where it is recognized, is a killing that lacks all but the most attenuated guilty intent, recklessness. Murder is considered to be one of the most heinous crimes. An experienced and aggressive criminal law attorney will use numerous defenses in a murder case to improve its outcome. Murder defenses that may be used in a trial include: self-defense, insufficient proof or evidence, factual innocence, insanity, and more. 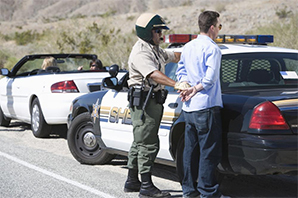 If you or someone you love has been charged with murder, it is in your best interest to hire a qualified criminal law attorney who will aggressively defend your legal rights. A good murder defense lawyer can get your case dismissed, reduce your penalties, negotiate alternative punishments, gather evidence in your favor, and devise other strategies to improve the outcome of your case. If you need an effective Criminal Defense Attorney, please contact us for a FREE CRIMINAL FATAL OFFENSES CONSULTATION.